Well, today was finally the end for Year 13. They have completed their IB Diploma examinations and today they graduate from Dulwich College Seoul. After two years of hard work for IB and seven years since the opening of the school, we have our first graduates. 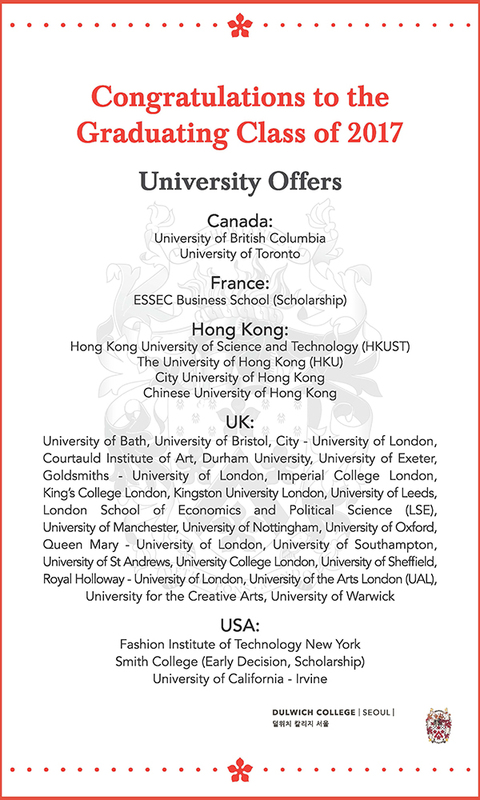 The list of universities to which they are moving includes Oxford University, Smith College, Imperial College London, London School of Economics and Political Science (LSE), University of Toronto, Hong Kong University of Science and Technology (HKUST). But more important than that, we are graduating a terrific bunch of young people. They are students in whom we can have immense pride. They are people who are so much more than examination results - interesting young people; caring, committed, capable and tremendously resilient.